This year the Transition Year students are participating in the Young St. Vincent De Paul Programme and have decided to focus on the social justice issue of homelessness, which is so prevalent in our society.The students felt that there was a great deal of information and media coverage about homelessness in big cities for example Dublin and Cork, but that people didn't realise how it affects individuals and families in Kerry also. Following a talk from Ronan Doherty of Novas, the students learned that last Christmas there were 104 adults and 57 children homeless in Kerry. 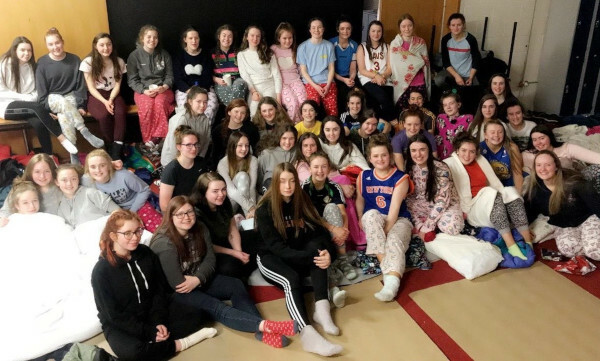 These figures startled them into action, and on Friday 22nd March, they staged a Sponsored School Sleep In, in order raise awareness of homelessness in Kerry. The proceeds of this Sleep In will be divided between St. Vincent De Paul and Novas, a homeless charity based in Tralee. Pictured below are St Brigid's students attending a Young St Vincent de Paul event. This events encourages and provides opportunities for young people to engage in social action in their communities. Our students presented on homelessness in the light of their recent initiatives on the issue. The girls invited in a guest speaker from Novas, which is the only homeless shelter in Kerry, and they gave presentations to first years on the topic to educate them on homelessness in Kerry. 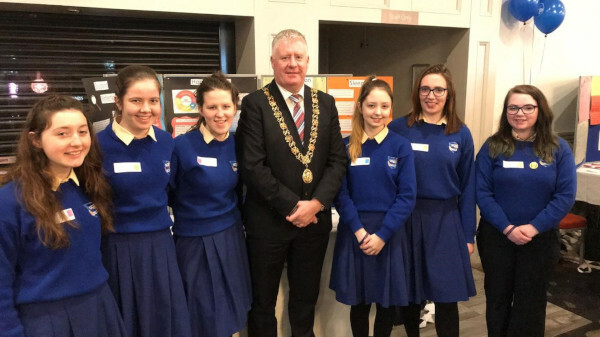 Our students were delighted to meet the Lord Mayor of Cork who showed great interest in the girls project and their efforts in fundraising. Well done to all involved!